Coming from a country outside of Africa leaves many people with a strange idea about the animals they are expecting to see while on a safari. The problem is that this has led to many people mistakenly thinking that the animals they see are cute and harmless. Kruger Park safaris are one of the few ways that you are guaranteed to get as close to wild animals as you can, without actually giving them a pat. But there have been more than a few tourists who have got a little too close to the wild animals and in some cases got more than they bargained for worth. Staying safe on a safari means being fully aware of the fact that the animals, while they might be cute, they are completely wild and will attack if they start feeling threatened. Despite all of the warnings about staying in their vehicles or in the safari vehicle, some people like to play with fire. And sometimes it results in more than injury. Elephants might look like gracious, even gentle giants, and their offspring are absolutely adorable, but this animal can turn from docile to rampaging in the blink of an eye! Generally, it is the self-drive tourists who tend to take chances, simply because they don’t have a guide to warn them of the very real danger. Or perhaps because they truly believe that they are not in danger, that the animal is not going to go wild on them. Back in 2014, 2 Kruger Park tourists took an unnecessary risk which resulted in an elephant rolling their vehicle off the road. The elephant they were viewing was starting to get agitated, flapping its ears and lowering its head in warning. The tourists did not understand this behaviour and so they did not attempt to back away. Instead, it would appear that they tried to pass the elephant, causing the animal to lose its temper completely! 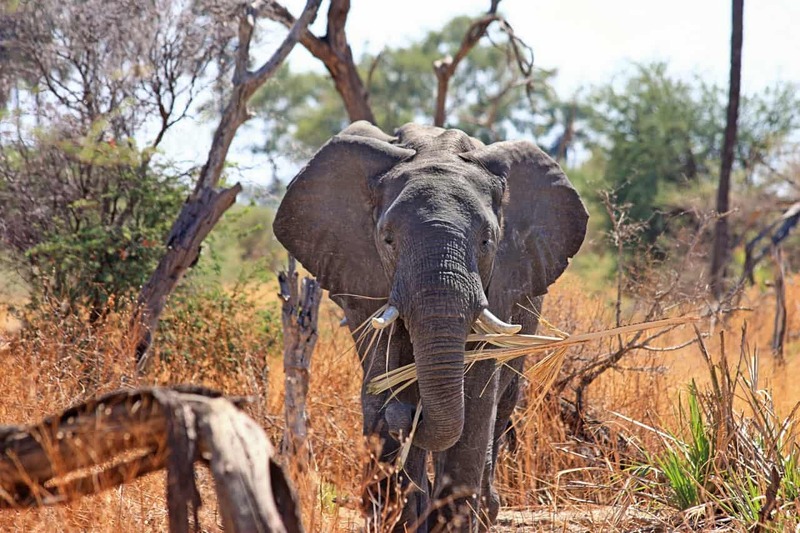 This particular story is highly controversial, as the elephant ended up being put down after the attack, with management believing that the elephant was not only a threat to tourists but also to other males living in the area. This has happened on more than one occasion, people leaning or even exiting their cars to get that perfect shot of an animal. Sadly, such actions have often resulted in serious injury and even death. Predators are lightning fast and have been known to jump on vehicles but it is not only the predators who pose a real danger. Hippos, elephants and rhinos can be formidable on the ground and they are not shy when feeling threatened. Many a tourist has had to learn the hard way when a calm animal suddenly decides it’s no longer happy with the situation. Which serves as a reminder that you need to always obey the rules of the park. No part of your body should be out of the vehicle and you should never turn your driving safari into a walking one, it is just not worth it. The other danger has nothing to do with tourists getting into trouble, but rather about the animals being in danger due to our disinterest. 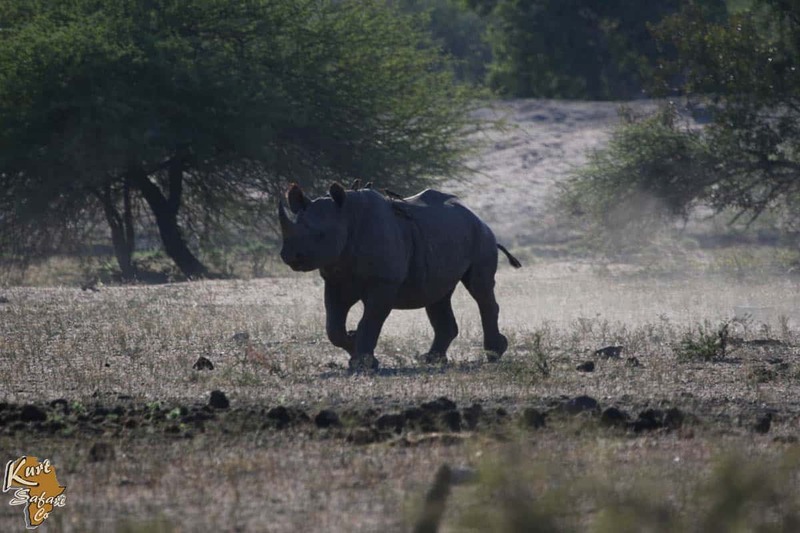 Numerous animals are on the endangered list and many of them can be seen while you are enjoying a Kruger Park safari. The problem is that most people are only interested in those endangered animals that get a lot of attention…and which are generally considered cute and cuddly. When we overlook the other animals, which are just as important to the eco-system in which they live, we are in some ways abandoning them to their fate. This is an important issue, as the problem with poaching is ever present and we need to be aware of it. The Kruger is a stunning place and well worth the visit. The best and safest, way to see the park is by signing up for a Kruger National Park safari.